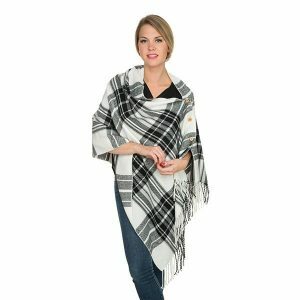 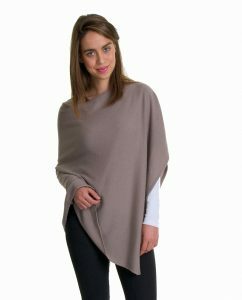 Poncho wraps are stylish accessories to drape around during winter. 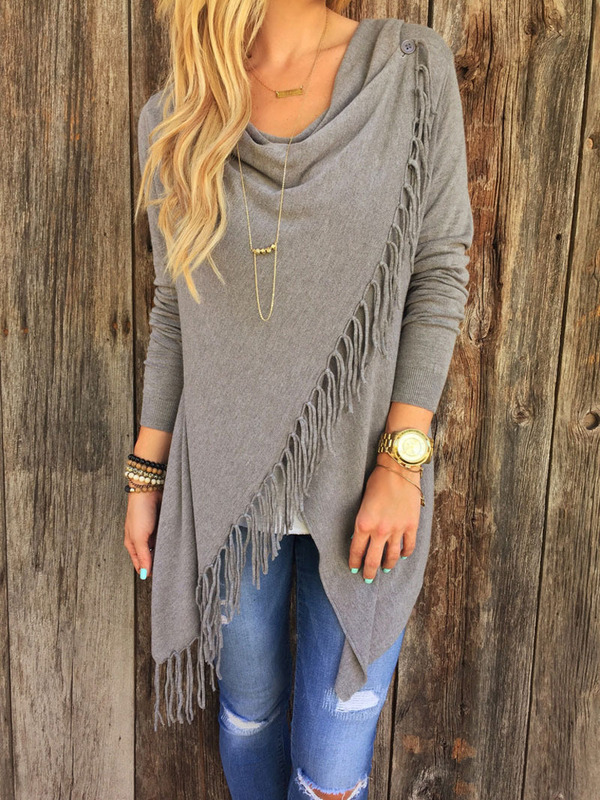 They appear to be cozy and fashionable. 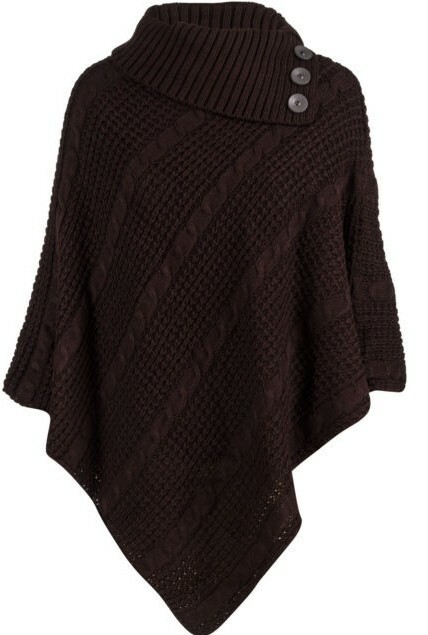 Also, they represent a break from sweaters and cardigans. So, this festive season, dress yourself up in monochromatic and colorful ponchos. 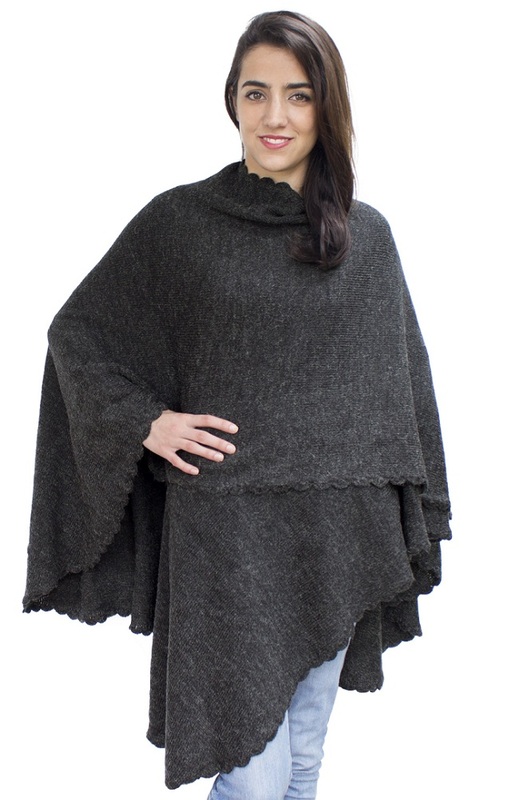 A simple light poncho is for early days of winter when you enjoy chilly winds. 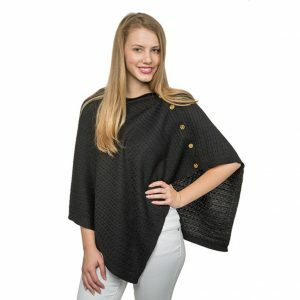 With your casual shirt and trousers, this poncho creates an amazing combination. A black side buttoned poncho makes you stunning, more so, when teamed up with white skinny jeans and ankle boots. 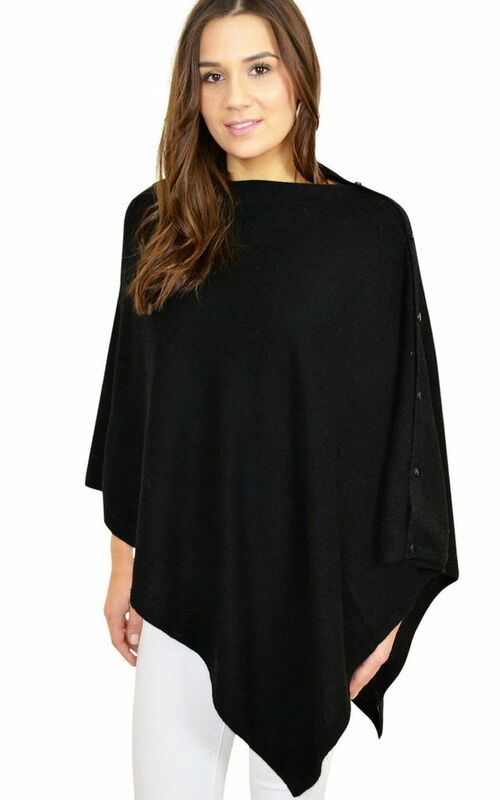 The covered neckline gives an edgy impression of your look. 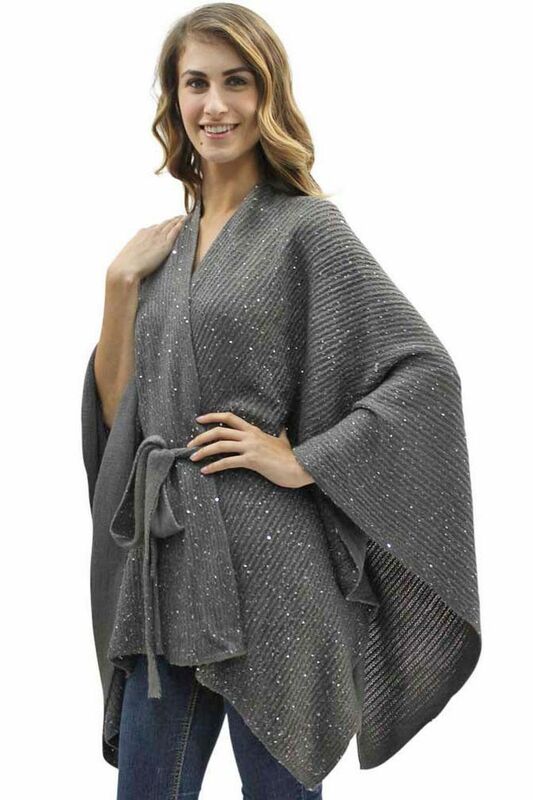 A gray poncho, slightly sequined and designed with a belt, has an enigmatic appearance. So, when you are going out to a party at night, wear this outfit. A dark gray and moss green combined wrap is good enough for you to pull off a supermodel look. 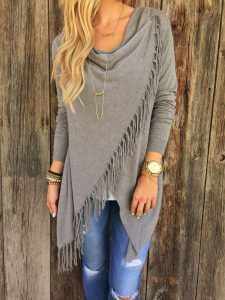 Just make sure you do not go overboard with your makeup. A brown poncho like this is for all, as the shade complements women with its brightness. 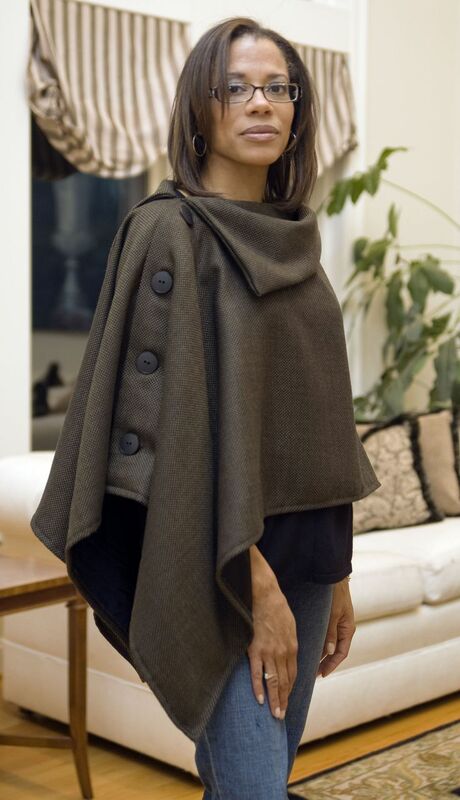 Wear with blue jeans for a vivacious look. 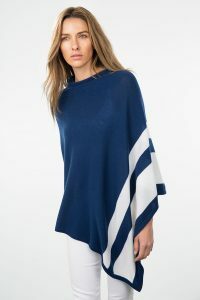 A blue poncho with white stripes looks regal. 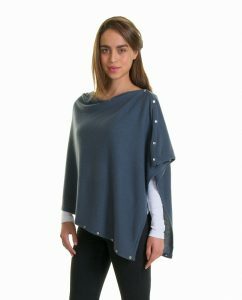 There are a few things that can enhance your look by concealing your outfit and this blue poncho is one such. 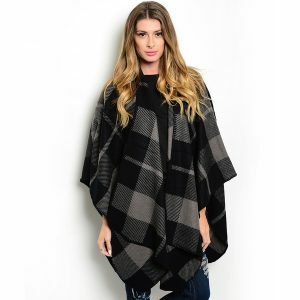 Chequered prints are timeless, so is the style of poncho. 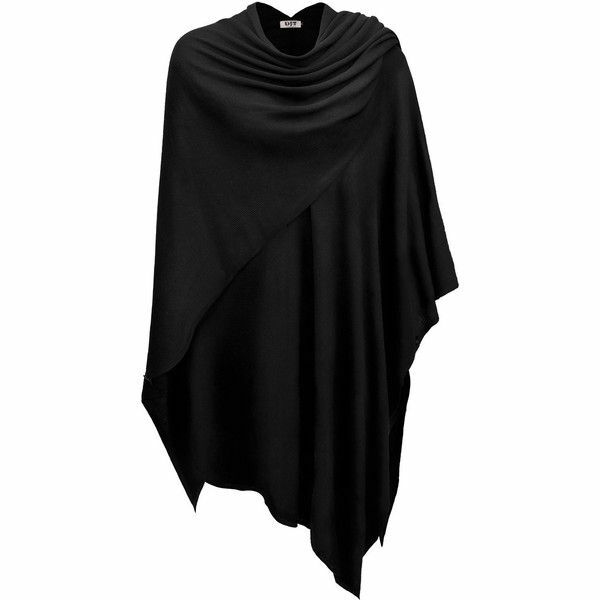 Rememeber, the accessory is beautiful not only for its prints, but also for the texture of this poncho.